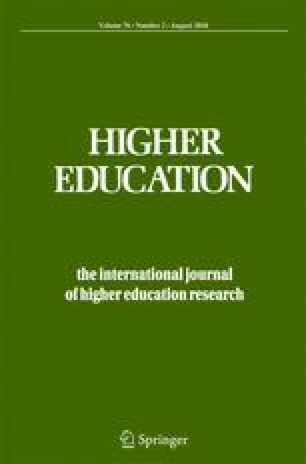 In the literature, higher education teaching is typically conceptualised as generic or determined by disciplinary characteristics. Academic development literature mirrors this dichotomy when discussing the starting point for development work. However, this focus on universal characteristics overlooks crucial aspects of contextual influence on teaching and of lecturers’ derived willingness to change their teaching. This article contributes to the existing literature by illustrating how understanding of and willingness to change is a part of a disciplinary practice. The analysis demonstrates how disciplinary dispositions create frames of meaning in which the understanding of change is embedded. Further, it is argued that academic development has a greater chance of succeeding if it aims at the working-group level, challenges the discipline values and takes an outsider perspective. I would like to show my gratitude to my colleague Karen M. Lauridsen for sharing her pearls of wisdom with me during the editing of this article, and I thank the reviewers for their thorough work, their most valued insights and their comments. Bunce, L., Baird, A., & Jones, S. E. (2016). The student-as-consumer approach in higher education and its effects on academic performance. Studies in Higher Education, 1–21. https://doi.org/10.1080/03075079.2015.1127908.